I am so not in the Christmas mood yet, but I am actually late on all my Christmas items this year! Being a Canadian selling mostly to Americans and overseas, means Christmas is actually super close!! 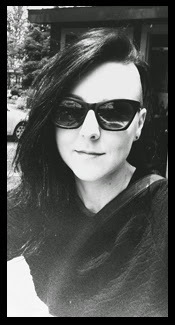 Eeep. Hope this isn't a sign of how this Holiday Season is going to unfold. Must organize! 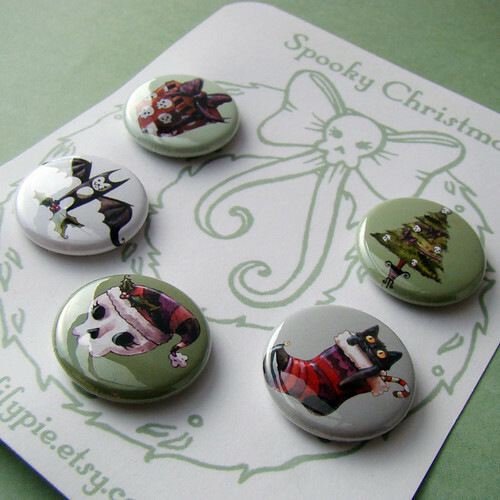 I put the Spooky Christmas Pin Set back in my shop. 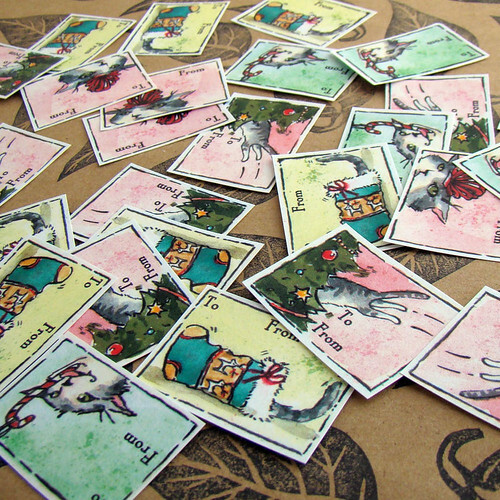 I also made two sets of gift tag stickers this year from previous years illustrations. In an effort to make them as affordable as possible, I chose to laser print them this year on glossy sticker paper and they came out great. 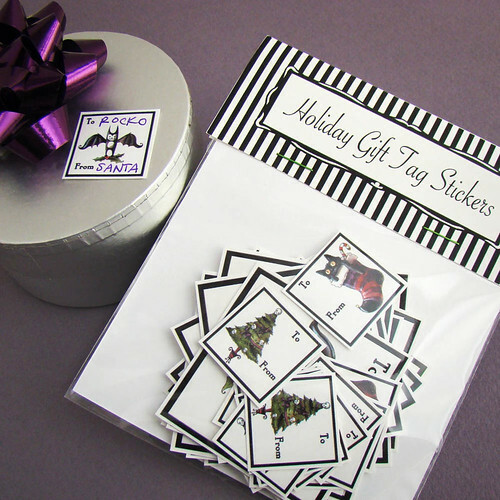 I wanted to do a bigger set, because everyone hates scrambling for labels while you are wrapping. There are 28 stickers in each set. You could use them on Grannies gift and she would be ok with it, right? And a "Bad Cat" set for my second shop, Blackforestcake. I am not sure if I will do any more "Christmas" themed items this year. That might be it. Unless the Holiday spirit somehow infects me. ;-) You never know, I am already dying to bake Christmas cookies and cakes and cupcakes...But I have to wait, as I still have Halloween baked goods! !